New guidelines required by the state and developed by the California Governor’s Office of Emergency Services should offer best practices for emergency alerting and evacuation during disasters such as wildfires like the Camp Fire. The decision by the town of Paradise not to undergo a full-scale evacuation was a difficult one that will be reviewed for months or years. The decision by Sonoma County officials last year not to send an alert during the devastating fires there was followed by much debate. In the future, decisions made about when to alert, whom to alert and how to alert them may be made easier by a set of guidelines developed by the Governor’s Office of Emergency Services (Cal OES). A bill, SB 833, signed into law last year tasked Cal OES with drafting definitive guidelines on mass alerting and evacuation, and those guidelines have been developed. The report is being turned over to an advisory board for full adoption, according to Mitch Medigovich, deputy director of logistics management of Cal OES. Cal OES worked with stakeholders at the city and county level to identify best practices and develop some guidelines and standards with the knowledge that some flexibility will need to be incorporated for localities, depending on the local environment. 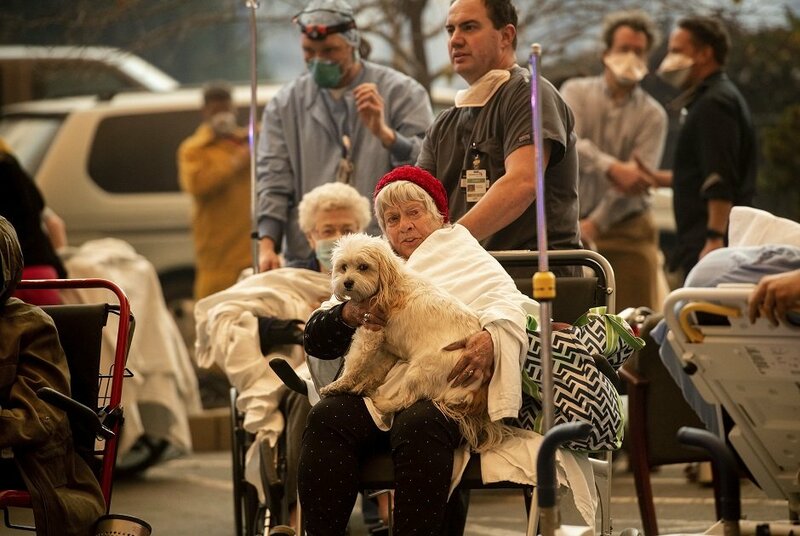 As Medigovich noted, a disaster like the Paradise Camp Fire can happen quickly and require quick thinking and action. Having templates and guidelines for what to do in certain situations gives emergency management and public safety officials a head start on how to take action. The report explains how to take advantage of the Integrated Public Alert and Warning System (IPAWS), Wireless Emergency Alerts (WEA), how and when to use geo-fencing, etc. “This breaks down and explains how you would use your broadcasters on the emergency alert side of that versus Wireless Emergency Alert messaging,” Medigovich said. There is discussion of “reverse 911” systems and other tools in the proverbial tool box, including using sirens and going door to door. Medigovich said there are many technological tools to use and users need to realize that those are constantly being updated so that if one didn’t work as needed at one time, it may have been updated to be more effective. Often, the first time a jurisdiction is forced to use mass alerting becomes a learning experience and sometimes a painful one. But establishing a good program with good training and best practice usage can help. An example is Lake County, which was hit by wildfires in 2015 and struggled with alerting. When faced with more fires in 2017, the process of using IPAWS and WEA went much better. “They made releases on the broadcasting side — Wireless Emergency Alerts, social media — and demonstrated absolute proficiency in 2017,” Medigovich said.